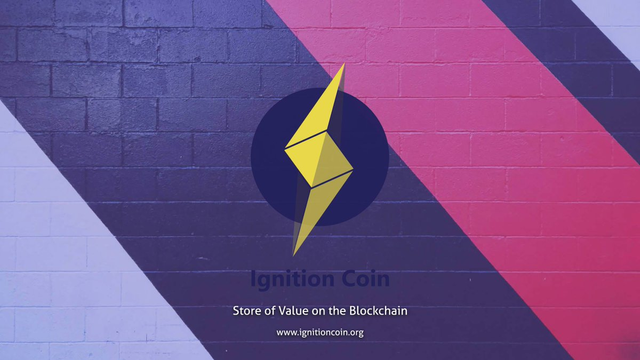 Created around December 2017, Ignition Coin was labeled as the 3rd generation blockchain that can ultimately replace bitcoin as a store-of-value. The cryptocurrency is claimed by the developers to be able to beat Bitcoin in term of lower fee, bigger blocks ( starting at around 20MB), and faster block time. Exchange: Cryptopia, Stock.Exchange, CoinExchange, CryptoBridge. Ignition coin is currently implementing 3 consensus algorithms, Proof-of-Work, Proof-of-Stake, and Master Node, in order to generate new block and secure the network. Ignition also utilize darksend and other privacy enhancing functions including Tor routing, Instant X, and Stealth Address. These features will ensure the privacy and anonymity of the users’ transaction, which is one of the more important features of any cryptocurrency. The main expected use case of Ignition coin is to have a means of store value being saved securely for a long term without being limited by scability and other limiting factors. In order to successfully meet it expectation, Ignition developers and community requires focus on security of the blockchain, privacy, efficiency, decentralization, also incentive activity allowed for participation in the network. By implementing those new features onto its own blockchain, the ignition network can leverage further some techniques and codes that enable hybrid verification proofs, lower fees, limited supply and inflation due to relatively low supply of coins ever created. It's also well known among all the MN coin out there. You got a 30.72% upvote from @upme thanks to @minhnguyen1994! Send at least 3 SBD or 3 STEEM to get upvote for next round. Delegate STEEM POWER and start earning 100% daily payouts ( no commission ). You got a 15.01% upvote from @postpromoter courtesy of @minhnguyen1994! Want to promote your posts too? Check out the Steem Bot Tracker website for more info. If you would like to support the development of @postpromoter and the bot tracker please vote for @yabapmatt for witness! we're gradually crawling our approach to greater trades. 2018 will be awesome, yet I think 2019 is the place we'll truly begin sparkling! The market is currently still at a very pioneer stage which means that the level of uncertainties for investors are still at a high level therefore it is difficult to tell when the market will moon. We need more new and institutional money in order for that to happen and I believe that a good chunk of new money will not start entering the market till it is regulated. Most people want some sort of protection before they start investing big money. Competition between cryptocurrency is intensifying as blockchain technology continuous to evolve. To accommodate for all these changes, Blockbasis created a platform where users can send and receive cryptocurrency like BTC, ETH and more using only an email. Security and privacy is taken care of, no matter which cryptocurrency is used.